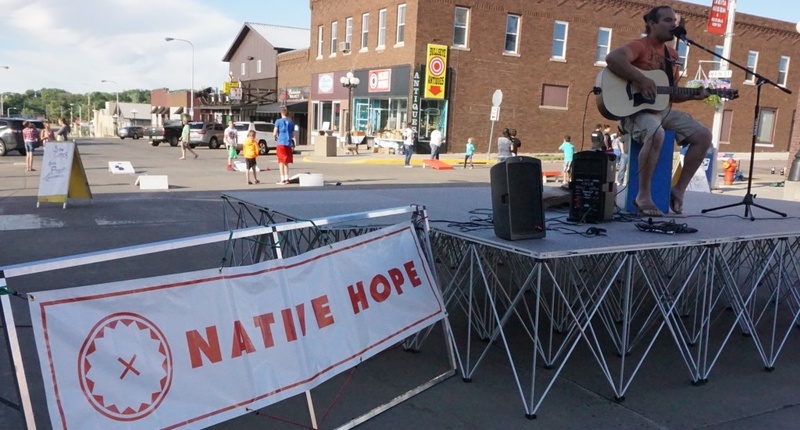 Native Hope Leaders’ Society has been busy this summer at River City Friday Nights in Chamberlain, South Dakota. 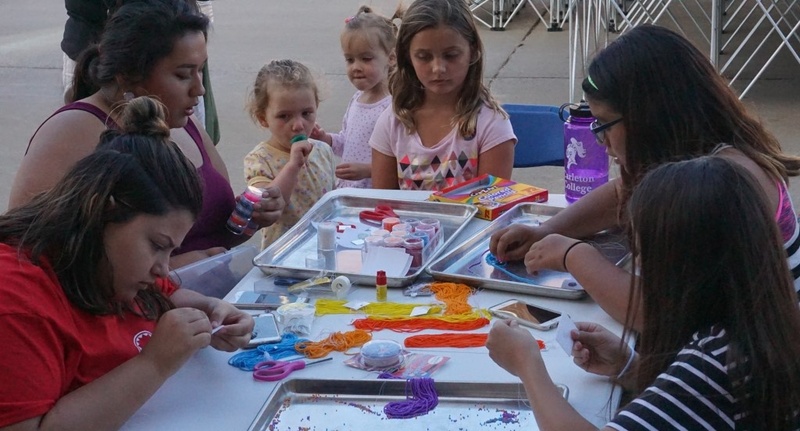 The group not only co-sponsored the entertainment by Native American artists Lance Spears and Gunner Krogman, but also, they hosted several fun contests and taught beading at a Native Hope’s arts and crafts table. Lance Spears of the Crow Creek Sioux Tribe (Hunkpati Oyáte) is an acoustic guitarist/vocalist and husband to Native Hope Ambassador Jaime. Last year, Native Hope produced a music video for his original song, “Hold On,” which was composed in an effort to combat suicide. 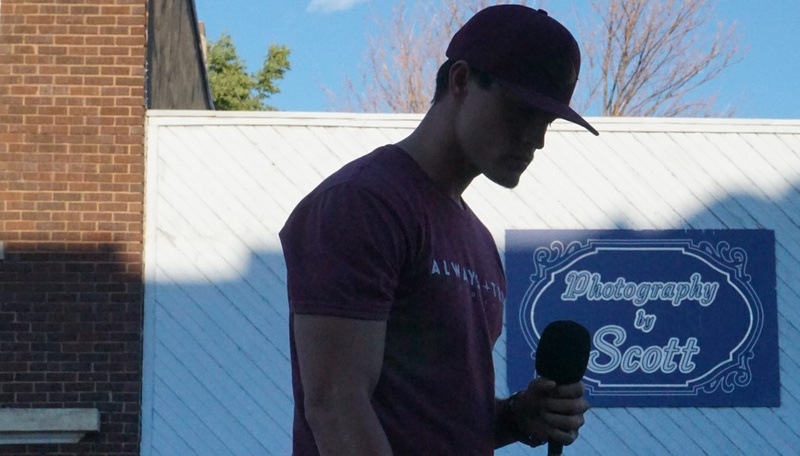 Lance kicked off entertaining the crowd with several classic rock tunes as well as some original work, and the audience was thrilled to hear this local artist share his talent with the community. Shifting genres, Gunner Krogman of the Rosebud Sioux Tribe (Sičháŋǧu Oyáte), an up-and-coming alternative R&B recording artist, played original and cover songs. He performed his signature song, "Lonely Nights & Days,” which was written about his best friend who committed suicide in 2008. Since the fall of 2016, Gunner has been collaborating with rapper Colin World Wind Horse, aka "Rollie Raps.” Rollie joined Gunner onstage to share a couple of their original songs, and those in attendance enjoyed the performances by these young, talented musicians. In addition to the music, the Native Hope Leaders’ Society sponsored a very popular Hot Shot/Lightning contest as well as a pitching competition called “How fast do you pitch?" Teaching young and old to bead earrings also proved to be a big hit. "It has been so nice to see the energy that the Native Hope staff and leaders brought to the events,” shares Mike Normile, Director of the Chamberlain Area Chamber of Commerce. Native Hope takes pride in the effort of all who made our participation in River City Friday Nights a success. We recognize that it takes everyone to make great things happen.